WASHINGTON, Nov 14 2013 (IPS) - The U.S. government has designated the Nigeria-based militant groups Boko Haram and Ansaru as terrorist organisations, prohibiting U.S. citizens from interacting or aiding the groups. Boko Haram and Ansaru are widely believed to be behind extremist terrorist attacks that have claimed thousands of lives in Nigeria in recent years, amidst a fight with the central government and its army over the role of Islam in Nigerian society. Response to the designation has been mixed, with some welcoming the decision while others warn that the move could end up hurting U.S. interests. “This decision is very welcome and is a great step forward for the U.S., and I’m sure it will be fully upheld in Nigeria,” Samuel Okey Mbonu, the executive director of the Nigerian-American Leadership Council (NALC), a Nigerian advocacy group here, told IPS. Boko Haram formally formed in 2009 in an attempt to impose Islamic law in all 36 Nigerian states, and has since carried out repeated attacks against both the military and civilians. Last week, such an attack reportedly killed at least 30 people. 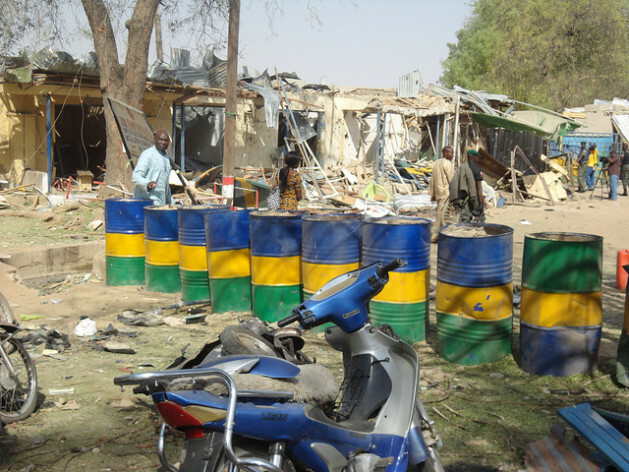 Ansaru, considered a branch of Boko Haram, formed in early 2012. Since then it has proven itself a major force, managing to infiltrate Nigerian military structures on numerous occasions. Ansaru has also extensively targeted Western targets, including kidnapping foreigners working and living in Nigeria. Both are believed to have ties to Al-Qaeda affiliates in Africa. Still, others have long warned the State Department against making such a designation. Brandon Kendhammer, an expert on African politics and a faculty member at Ohio University, says the new announcement will make it increasingly difficult for those who, like him, study these groups. Kendhammer’s concerns are not isolated. In May 2012, he was joined by a group of 24 other academics from across the U.S. in writing a letter to then-Secretary of State Hillary Clinton, urging the Obama administration to refrain from designating Boko Haram a terrorist organisation. “We surely have more information about Boko Haram than we did at the time of the letter, but it’s clear that the State Department still hasn’t articulated very well what type of connections the group has with other jihadist organisations,” Kendhammer says. Still, analysts now suggest that Wednesday’s decision will have a sizable impact on the group’s activities. “In practice, the designation means that no American citizen can give any kind of material support to the group, and that no American can help them in any way, shape or form,” Douglas A. Ollivant, a retired U.S. Army officer and a senior national security fellow at the New America Foundation, a think tank here, told IPS. That includes both financial support and the provision of expertise, Ollivant says. “But what really matters here is the fact that the [U.S.] Treasury Department will be able to go after the assets of these groups in U.S. banks – and, if the United Nations will pass a resolution, also in foreign banks,” Ollivant says. The designations come at a time in which the domestic situation in Nigeria is still far from stable. “What we need to understand is that Nigeria is a very complex and diverse country, where any government in power needs to carry every region along in its policies,” the NALC’s Okey Mbonu says. Indeed, Boko Haram’s strongholds are in northern Nigeria, which Okey Mbonu says is also the most politically influential region in the country. That has made any settlement between the Nigerian government and the group particularly difficult to achieve.